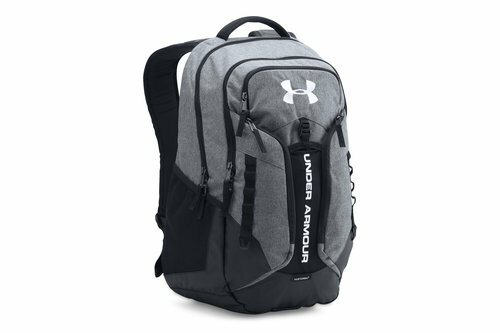 Never forget any of your belongings when you make it from work to the gym when you use this Under Armour UA Storm Contender Backpack in Graphite, Black and White. This backpack from Under Armour has been crafted with UA Storm Technology which delivers an element-battling, highly water-resistant finish meaning that this bag is perfect to take to school even when it is raining as your school books and homework won't get ruined. This bag also has a tough, abrasion-resistant bottom panel which will protect it and the belongings inside if left on the floor outside during break and lunchtimes.